It’s Follow-Up Friday: Rubik’s Magic edition! And today I’d like to return to the subject of puzzle magic! Oh yes, puzzle magic is most definitely a thing. 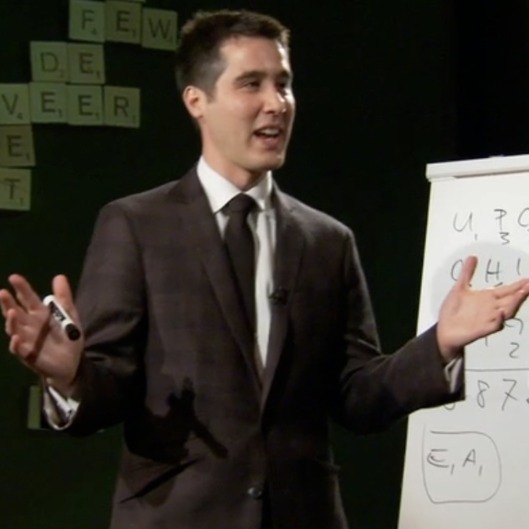 Arguably the most famous practitioner is friend of the blog and crossword constructor David Kwong, who not only contributes both puzzles and magic to television shows and film projects, but has created some truly mindblowing magic tricks involving puzzles. The other night, I was watching Penn and Teller: Fool Us, a show where magicians and performers from all around the world present their best tricks, illusions, and bits of magical wizardry to try and stump the famous duo. And lo and behold, another master of puzzle magic appeared! But where David Kwong works his magic with crosswords, Steven Brundage uses a different puzzly tool: Rubik’s Cubes. That behind-the-back trick was pretty fantastic, wasn’t it? You can check out more of Steven’s magic on his YouTube page! And let me know if you’ve seen any other acts of puzzle magic! I’d love to check them out!